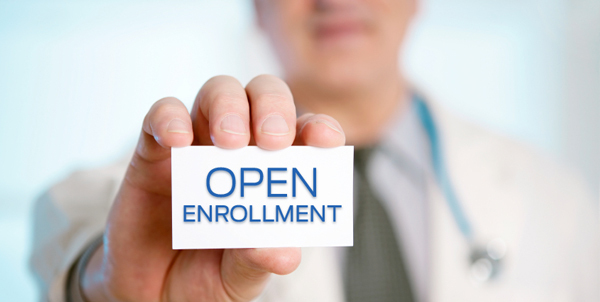 After recently visiting Covered California’s annual event on Open Enrollment Period 2018, there is plenty of updates to cover. For this year, Covered California came up with the slogan “Don’t roll the dice on your health.” It is a great theme for insurance which is all about accepted premium, accepted financial risk and provider choice. Life can change in an instant… are you comfortable with your current plan? As for changes to the health insurance carriers, Anthem is leaving Southern California for 2018 for members who get their insurance on their own (not through an employer). For those of you who are currently on an Anthem EPO plan, you will have to find an alternative carrier. For many, Blue Shield of California may be a suitable option as their network matches 79% of Anthem’s 2017 EPO network. Anthem members who do not actively change their plan will passively be enrolled in 2018 to the lowest premium plan in their metal tier. This is especially significant for members who want to keep their Anthem providers. Please speak with your doctors to see what networks they will be in for 2018 or contact us to do a provider search. Another important subject for 2018 is the Cost Share Reduction plans or CSRs. These plans are unique to individuals earning between 139-250% of the Federal Poverty Level who qualify for silver metal plans with lower cost shares such as lower co-pays, coinsurance and deductibles than the standardized silver 70 plans.The White House has stated, as of the writing of this article, that the CSR program funded at the federal level will still be paid on a month to month basis. This leaves plenty of questions about if they will continue making payments throughout the entire 2018 year or not. Covered California has retroactively allotted $1 billion in reserves in the case that the Federal Government stops making CSR payments. Every insurance member should take note of California’s AB-72 or Assembly Bill 72. The bill, which came into effect July 1, 2017, was designed to protect consumers from surprise balance bills that would bill services as out-of-network. The bill protects you from an in-network doctor referring you to an out-of-network doctor or specialist at an in-network facility, billing you out-of-network. The facility in which the services are provided must be contracted with the insurance carrier as in-network. This bill applies more to major operations rather than doctor visits and checkups. 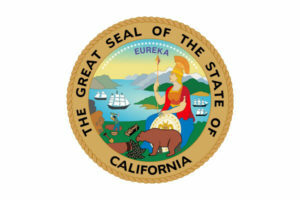 Two more bills have recently passed California’s state legislature in the last week. AB 156 was a reaction to the Federal Open Enrollment being shortened to a 45-day enrollment. AB 156 ensures that Californians will still have the historical 3 month Open Enrollment Period from November 1st – January 31st. Nationwide, however, the enrollment period is from November 1st to December 15th. Covered California wants to assure Californians that they will have adequate time to make the right choice on their health care. The other bill, SB 133, allows certain patients whose insurance carrier has left the individual market to continue seeing their doctors for up to one year. SB 133 strictly applies to patients with acute conditions and is designed to ensure quality of care for those in need. This will be especially important to the many Anthem members affected by thier withdrawal from the Southern California marketplace. Furthermore, if you are on a Covered California plan and are expecting to receive subsidies in 2018 due to your income, make sure that you have granted consent for Covered CA to verify your income for next year. Covered CA members who do not have consent for verification will still be passively renewed but without applied tax credits. For those that only consented to 1 year, you will most certainly want to update your consent for verification. As always, please review your expected 2017 annual income and compare it the Federal Poverty Level chart to see if you still qualify for subsidies. Covered California has stated that we will have the 2018 rates for each specific plan by October 11th. For the Los Angeles region, the weighted average annual premium increase for 2018 is 13.2% versus the statewide average of 12.5%. The last day to make a change to your health insurance plan for a January 1st effective date is December 15th. Please ensure that your contact information and address are up to date so we and your insurer are able to contact you and help you with your insurance needs. If you need an independent review of your health insurance to find alternatives for 2018, please contact us at Solid Health Insurance Services at 310-909-6135 or email us at info@solidhealthinsurance.com. At Solid Health Insurance Services we will keep you informed of the newest insurance trends and laws. Our mission is to find you affordable health insurance plans which fits both your budget and your medical needs.